Dayang Enterprise Holdings Bhd (Dayang) is expected to obtain more brownfield service tenders worth RM7 billion, as most of the existing projects in the field are due for renewal this year. The company’s current order book stood at some RM1.2 billion and this would last until 2016, OSK Research Sdn Bhd (OSK Research) pointed out in its research report. “Dayang’s first half of financial year 2012 (1HFY12) net profit came in within our consensus and expectations, with annualised net profit accounting for 49.3 per cent of our and 49.9 per cent of consensus full year estimates,” the research house commented on its recently announced result. 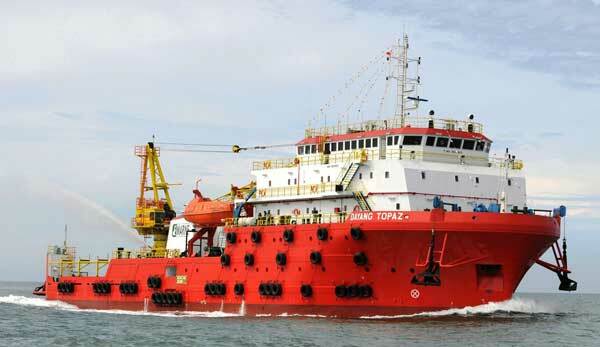 The company recorded an improvement in both its revenue and net profit, underpinned by a higher utilisation rate and additional revenue from the charter of its new workboat Dayang Topaz. “There is also an increase in its marine charter business, which commands a higher profit margin. EBIT margins in 1HFY12 remained stable compared with 1HFY11 probably due to the company’s improvement in project delivery,” it added. In tandem with the release of its results, Dayang also declared a first interim dividend of five sen, representing 50 per cent of OSK Research’s full year dividend forecast of 10 sen, which was based on its assumption of a 58 per cent payout ratio. “The company recently published its annual report for 2011 so we are taking the opportunity to updat eour FY11 numbers retrospectively to reflect the changes,” said the research firm. “While we make no adjustments to our earnings estimates, we are revising our fair value upwards to RM2.75 per share as wel roll over valuations to FY13,” it stated. The fair value was based on Dayang’s price earnings of 13 times FY13 earnings per share. OSK Research continued to favour Dayang’s solid business model, which provided the company with recurring income and a constant cash flow.